“We’re going all in on liquefied natural gas,” Greg says. The California-based company is one of the largest exporters of compressed hay products in the Western United States. Border Valley Trading operates two processing facilities located in Brawley and Turlock California, and exports products like alfalfa hay and Bermuda grass for livestock feed across North America and around the world. As a way to decrease fuel costs and lower emissions, the company began to transition from diesel to LNG powered trucks in 2008, acquiring 20 Kenworth T800s powered by the Westport 15L engine with first generation Westport™ HPDI. The trucks drive 400 miles (643 kms) daily carrying 80,000 lbs of gross weight, five days a week into the Port of Long Beach. 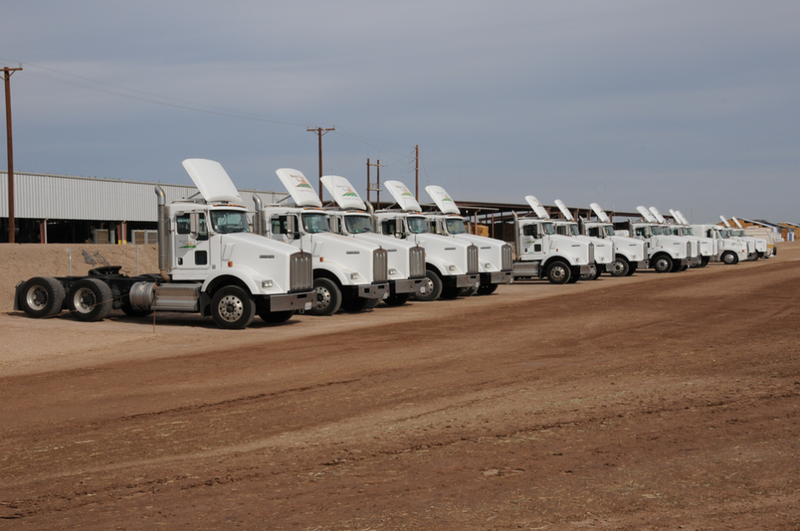 Out of the 20 trucks, which use liquefied natural gas (LNG), 10 have about 500,000 miles on them. The route entails a mostly-desert terrain with one sizeable climb along the way; temperatures can reach up to 115 F (46 C). Greg says his natural gas fleet undergoes regular scheduled maintenance comparable to what he experiences with diesel trucks. Greg’s company received incentives for the heavy duty trucks through the local Air Quality Management District. 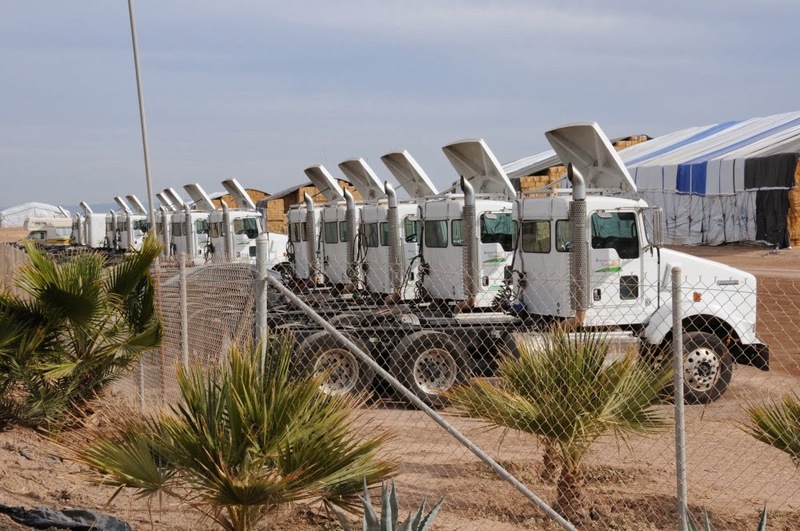 His company is so optimistic about its future using natural gas fleets, they decided to open their own fueling station in Palm Springs. While it’s currently private, the company plans to open it to the public to give more local fleets the opportunity to transition to natural gas vehicles. “I’m a big believer in natural gas,” Greg says.